Here In Texas, we love our time outdoors, despite the famous heat. That’s why we value our yards so much! While you have plenty of options to choose from, it may be smart to consider a wooden fence, first. Traditionally, suburban houses are protected with wooden fences, since they provide reliable privacy, security, and style, all for a reasonable price. If you find yourself in the market for affordable wood fence installation in Crowley and Fort Worth, TX, give us a call at 817-948-4503, today! We have been in the fencing business for many years, and we are dedicated to providing reliable wooden fence services to our clients. There are several different types of wooden fencing available to residential homes, including cedar, and bamboo! Here at Ware Fencing, our wood fence installers offer all of those options to our clients that prefer wooden fencing. 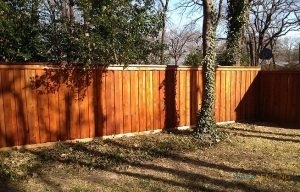 One of the most popular choices is the cedar fencing, for its beautiful color, sturdy build, and fantastic style. Cedar holds its color for years and is resistant to rot. Bamboo is a fun choice for a themed garden, or unique look, as well as a sturdy fence. Check out the links below to learn more about our wood fence installation options! Cedar Provides A Simple, Yet Traditional Look. When you choose a wood fence from Ware Fencing, you are choosing a higher quality of fence. All of our materials are of the highest quality, and our craftsmanship is meticulous and reliable. Why wait? 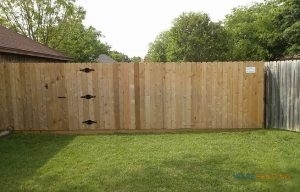 Call us at 817-948-4503 today, if you need reliable and affordable wood fence installation in Crowley and Fort Worth, TX and the surrounding areas. We offer several different services, including fence repair, fence replacement, and of course, fence installation. Cedar Fencing Recognized for long-lasting color and resistance to rot, cedar fences are a prime choice for a luxury wooden fence. Bamboo Fencing Bamboo fencing is durable, unique, and very aesthetically pleasing, making it a fan favorite for lush backyard getaways. Updated on September 20, 2018 at 9:12 am by Ware Fencing.